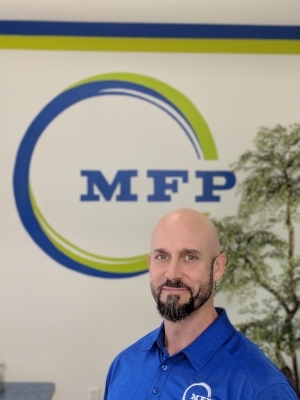 Jason is the founder and CEO of Medical Fitness Pros. After he earned a Bachelors of Science, Kinesiology from the University of Texas, he went on the obtain a myriad of other fitness credentials from such prestigious institutions as Coopers Institute of Aerobic Research, the National Academy of Sports Medicine, the American Academy of Health, Fitness, and Rehab Professionals, Medical Exercise Specialist, and the Titleist Performance Institute. Jason is a Board Member of the Katy Chamber of Commerce and is actively involved in the Student Health Advisory Council. He is also the “Conductor” of the MFP team. In 2008 Jason started Medical Fitness Pros inside Hope Rehab Katy, a physical therapy clinic. Irritated with the way normal gyms treated clients with injuries or medical conditions, his vision was to establish a one-of-a-kind facility where people would be properly guided on safe, results-oriented exercise and fitness programs. As the ONLY Doctor recommended facility of its kind, clients routinely drive to MFP from as far away as Kingwood, Galveston, and Austin. The trajectory of Jason’s career has its roots in watching sadly as his dad suffered with chronic pain which largely affected his quality of life. Jason is a prankster; he loves to surprise people with gags and delight people with random acts of kindness and giving. He is a devoted husband to Jessica and proud dad of 5 year old Isaiah and 4 month old Siena. Graham has over 20 years of experience in the fitness industry. Every single training Graham does with clients, whether it’s personal one-on-one sessions or it’s small group sessions, has a specific purpose and a net result that Graham is intent they achieve. He is dedicated to having every moment you spend in his care to be worthwhile and important to your ultimate goals. There is nothing random about the way Graham plans each of his sessions; there’s a reason behind why he instructs you to do certain exercises in a certain sequence for instance. Graham is truly like a “neuromuscular doctor” in his knowledge and approach to sports conditioning and post rehab injury recovery and prevention. Along with being certified as a Medical Exercise Specialist, Graham also carries certifications from the Titleist Performance Institute (TPI). This is an evidence based program designed to dramatically increase player performance through a deep understanding of the body mechanics during the golf swing. The concept is called the Body-Swing Connection™. 15 of the last 18 major golf championships were won by players who were advised by a TPI Certified Expert. 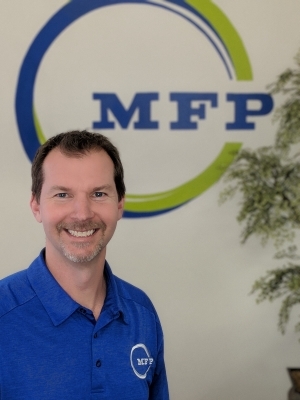 Graham Knight heads up the MFP golf program, and also specializes in post-rehab injury recovery. Armed with a degree in Behavioral Psychology from Houston Baptist University in 1993, Beth began her career working with children who had both behavior and muscle tone issues – a program called “Birth to Three”. She also attended MD Anderson and studied Lymphatic Drainage Massage Therapy specifically to provide benefit to women recovering from breast cancer. 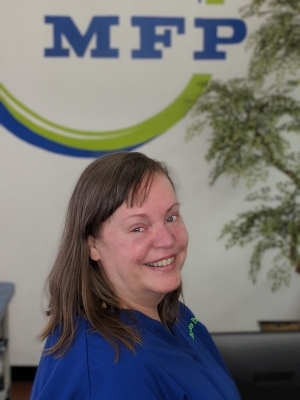 Beth joined the MFP team as a Licensed and Registered Massage Therapist, trained in all forms of massage therapy (click here to find out more). She is currently studying to obtaining her certifications as a Medical Exercise Specialist and is particularly focused on integrating into MFP’s specialized program that helps people who have suffered from a stroke. Whether the mandate is to work with an athlete to make him or her the best they can be, or whether it’s to help an athlete recover from an injury quickly, safely, and with more strength – Michael is the Mozart of composing phenomenally effective sports conditioning programs. His clients rave about his approach, his techniques, and his god-given insight to knowing exactly what each and everyone needs to reach their peak. Among his clients are professional athletes from the NFL, MLB, NBA, NCAA, Katy 7-on-7, Little League baseball, and girls’ volleyball and soccer athletes. This variety means he is well-rounded in all facets of performance enhancement and sports injury prevention. Added to this sports expertise is Michael’s certification as a Medical Exercise Practitioner, where he is a stickler on proper movement and the methods required to manage injuries and medical conditions. What makes Michael truly special is his ability to be effective working with senior men & women with medical conditions as well as sports enthusiasts who are in their prime. His clients seriously love him! Michael was born and raised in Houston and has been living in Katy, TX since 2010. He spends his spare time traveling with his family as well as writing and producing music. Brooklyn grew up in Katy and traveled for 6 years as the wife of a Navy Officer. In her spare time she enjoys doing fun activities with her young children and husband. Lisa is an absolute Client Services Guru! She is warm and caring, with a real gift for brightening up the place with her huge smile. Lisa has many years of experience caring for cancer patients, type 1 diabetics, and dialysis patients along with 13 year career as an R.M.T. 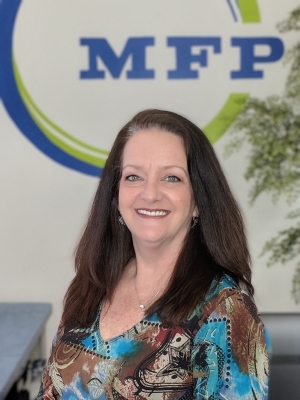 Her medical knowledge and extensive experience helping people in distress makes her an important addition to the MFP team. Lisa is a powerhouse and provides ancillary services to all our staff and all our clients. Lisa is a native Houstonian. She’s a vociferous activist for the humane treatment of animals and devotes many hours as a volunteer caring for Rescue dogs and promoting Adopt don’t Shop. 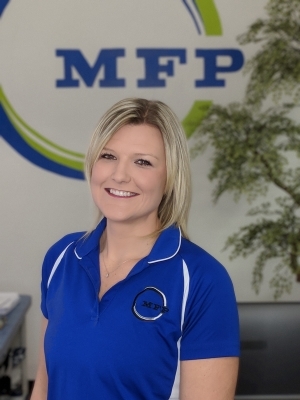 We jokingly call her the “Bob Barker” of MFP because she has a huge social conscious and is very community-oriented.